Wisdom tooth extractions are not always necessary. In some cases, wisdom teeth grow out perfectly normal, not causing any oral problems. In other cases, wisdom teeth could be causing harm to your jaws, neighboring teeth and the alignment of your teeth. 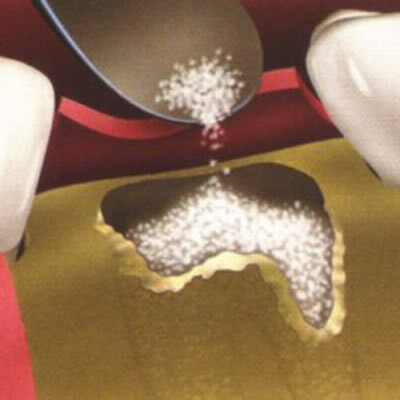 This is when we resort to extraction, to protect the rest of your mouth and your overall oral health. At Woo & Park Dental, we’ll take care of your wisdom tooth extractions in a comforting and caring way, making sure you experience no- to minimal discomfort. 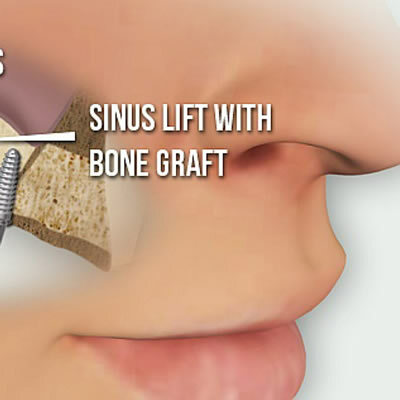 Sinus Lifts are usually performed in preparation to bone graft procedures. You might need a bone graft if you’re planning on having dental Implants and you don’t have enough bone density to support them. In that case, the nasal cavity, also known as sinus cavity, is lifted to provide enough space for bone tissue to be grafted. We perform sinus lifts at Woo & Park Dental under local anesthesia to provide our patients with a good, relaxed and pain-free dental experience. If you’ve lost a considerable amount of bone tissue due to gum disease, missing teeth, or an injury, a bone graft might be recommended. Bone grafts are commonly performed to prepare your jawbone to accept dental implants. There are different types of bone that cane be used for grafting, such as bone from the patient’s own body, bone from a genetically similar organism, or artificial bone tissue from a lab. At Woo & Park Dental, we’ll provide you with the most suitable bone graft options prior to your procedure to decide on an appropriate and convenient approach that you feel comfortable with.